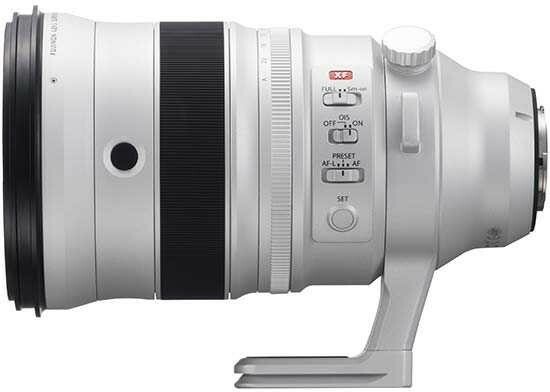 The Fujifilm XF 200mm F2 R LM OIS WR lens is a professional lens in every regard - the image quality, feature set, build quality and price are all what you'd expect from such a premium lens. As such, it's destined to only be purchased by professional sports and wildlife photographers who will use it as their daily workhorse, but for the rest of us it's well worth renting at least once just to experience what a superb lens it is. Image quality is simply amazing both at the centre and edges of the frame, with outstanding sharpness at all available apertures, while the nine-blade iris diaphragm achieves some lovely bokeh effects. Vignetting is practically a non-issue and chromatic aberrations are only noticeable by their almost complete absence. The supplied 1.4x teleconverter successfully extends the reach to 280mm without any perceptible degredation in image quality. The weather-proof Fujifilm XF 200mm F2 R LM OIS WR has a fast and pleasingly quiet auto-focus mechanism with useful focus limiter and preset controls. It also has a well-damped focus ring and a very welcome aperture ring which makes it quick, easy and precise to set this key element of exposure. The 5-stop optical image stabilsation system works amazingly well considering the size and reach of the lens. Priced at £5399 / $5999, the Fujifilm XF 200mm F2 R LM OIS WR is the largest, heaviest and easily the most expensive XF-series lens to date, but we're certain that professional wildlife and action photographers will find an awful lot to like about this lens.